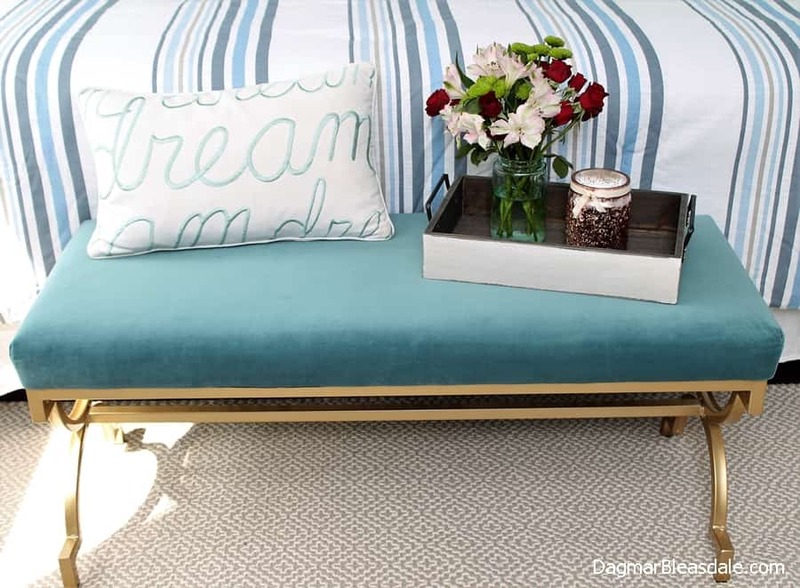 I bought a really pretty, inexpensive bench with golden legs for our bedroom a few weeks ago that I’m so thrilled about, and I photographed it yesterday for a post about our bedroom makeover. This bedroom bench caught my eye in a Christmas Tree Shops email, and I was lucky that they had one in store I was able to pick up. It was only $100. You can find similar ones on Amazon here. I’m not usually a big fan of the color gold or such modern lines — I’m obviously all about cottage and farmhouse and chippy/vintage decor, but there was something about this bench I couldn’t resist, aside from the price. We used to have a bulky ottoman at the end of the bed, but I love that this bench makes the room bigger. It’s a lot lighter, too. 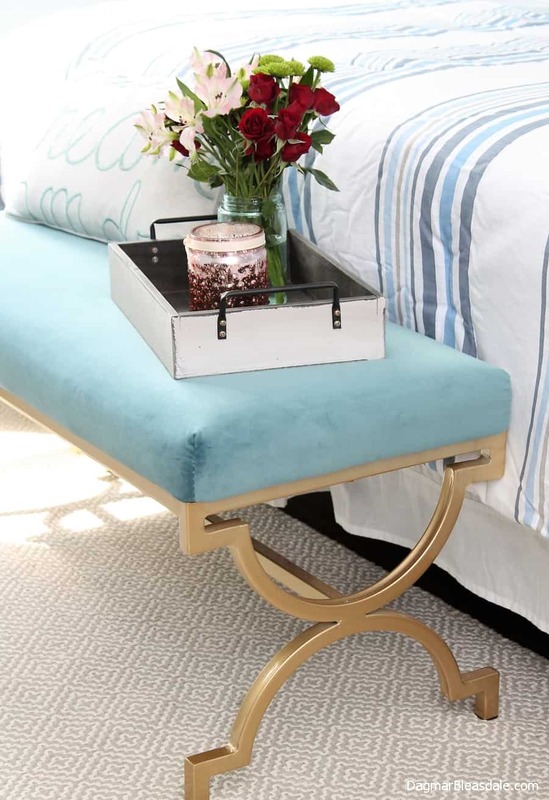 I moved the ottoman into Landon’s room — you can see it here in the post about his room update.